Answer: Hatchery trout or hatchery steelhead are those showing a healed adipose fin clip (adipose fin is absent). 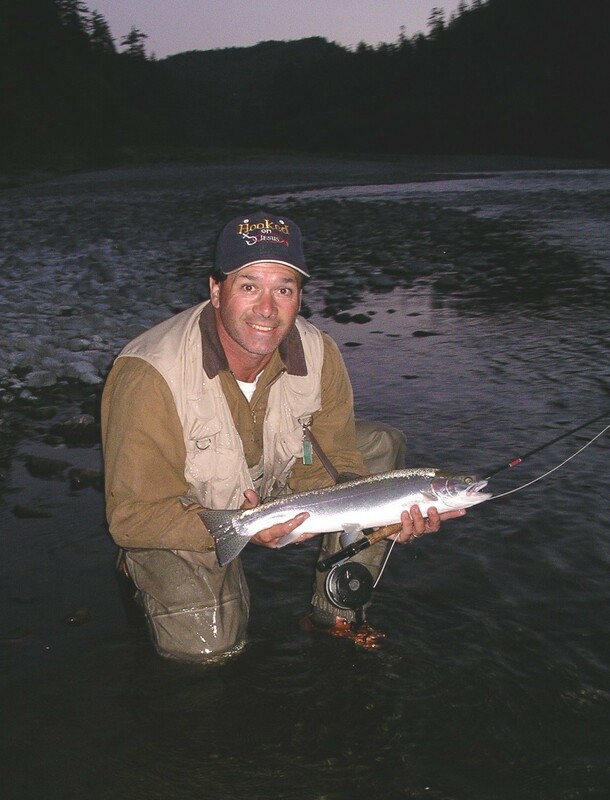 Unless otherwise provided, all other trout and steelhead must be immediately released. Wild trout or steelhead are those not showing a healed adipose fin clip (adipose fin is present) (California Code of Regulations Title 14, section 7.50). Answer: Yes, ground squirrels can be used as bait, but remember they are also vectors of a number of flea borne diseases, so use caution when handling them. Answer: Fishing during a closed season is prohibited, period. Even though you don’t intend to take any fish away with you, the definition of take is to “Hunt, pursue, catch, capture or kill fish, amphibians, reptiles, mollusks, crustaceans or invertebrates or attempting to do so” (CCR Title 14, section 1.80). Therefore, despite your best methods, even the attempt to fish is prohibited. There are few exceptions, but the take of crayfish other than with hook and line is authorized when a stream is otherwise closed to fishing (CCR Title 14, section 5.35(e)). Typically, crayfish may be taken only by hand, hook and line, dip net or with traps not over three feet in greatest dimension (CCR Title 14, section 5.35). Most crayfish have no limit and the season is open all year. However, Shasta crayfish are protected and so there are specific river and lake closures listed for their protection in the 2014-2015 California Freshwater Fishing Regulations booklet (see page 21), as well as online at http://www.dfg.ca.gov/regulations/. Look for subsection (d) of this section for the closed waters to avoid. Answer: Yes. Take of all crabs of the Cancer genus, except Dungeness crabs, but including yellow crabs, rock crabs, red crabs and slender crabs is allowed all year. While using SCUBA, crabs may be taken by hand only with no hooked devices in possession (CCR Title 114, section 29.80(g)). The limit is 35 and the minimum size is four inches measured by the shortest distance through the body, from edge of shell to edge of shell at the widest part, except there is no minimum size in Fish and Game districts 8 and 9 (around Humboldt Bay). They may be brought to the surface of the water for measuring, but no undersize crabs may be placed in any type of receiver, kept on the person or retained in any person’s possession or under his direct control; all crabs must be measured immediately and any undersize crabs must be released immediately into the water (CCR Title 14, section 29.85 (b)(c)). This entry was posted in Uncategorized and tagged crab fishing, crustaceans, firearms safety, freshwater fishing, hatchery fish, invertebrates, Licenses, ocean fishing, regulations, small mammals. Bookmark the permalink.